These past few days (or has it been weeks?) I have been missing in action here at TSB, partly because of travel, but mostly because I am feeling a bit overwhelmed in several areas of my life at the moment. In order to forge forward through this mental fog touched with a bit of laziness, I thought I would post a couple of update photos (maybe that will put me in a more positive frame of mind…haha!). 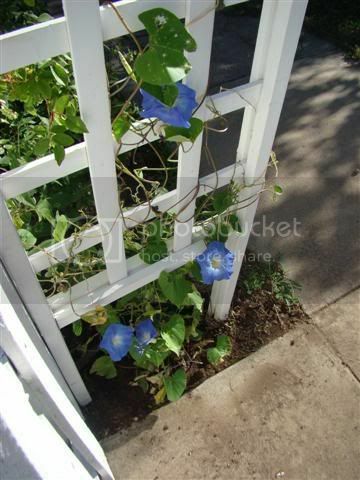 My morning glories are beginning to show some movement, which is a good thing since it seems that I am not going to be able to train my roses to grow over my arbor. 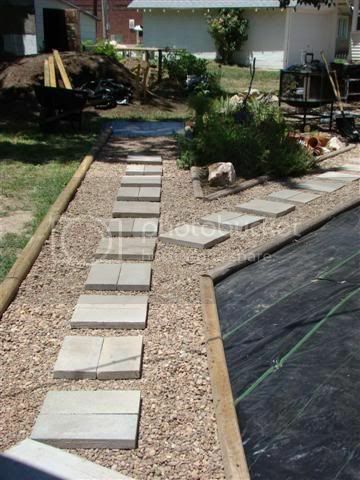 The walkway in the backyard is beginning to take shape. Moving the rock from the old “patio” area under the tree has proved to be difficult and back-breaking. I think we have enough materials on hand to take the walkway to the alley behind the house. I am very disappointed that I do not have my concrete patio poured yet. This darn weather is making many projects drag out….and I just know that as soon as these storms stop, the temperatures will rise quicklly making the work even more difficult! Currently, my tomatoes are back on the side porch with the last threat of golf ball sized hail. 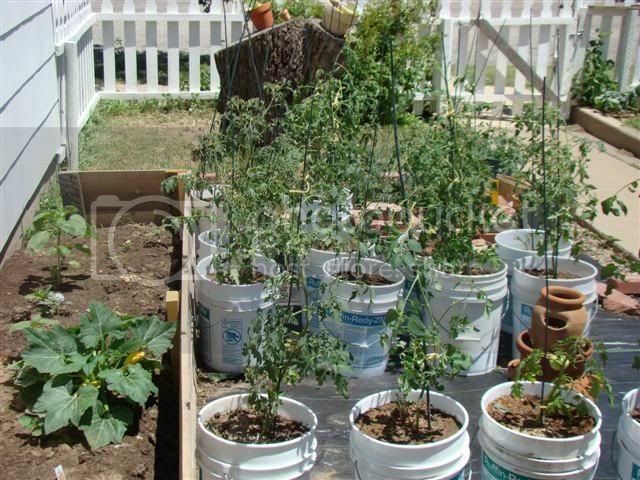 Fortunately, we did not get any…but you know that the reason we didn’t is because I DID move those tomatoes. If I had left them in place, the hail would have surely shown its face…haha! My beans are beginnging to show some signs of growth, as is my basil…so maybe things will start happening around here. I really need to find some kind of mulch before the heat waves begin. I don’t want to put down grass clippings because we have so many weeds in our yard….and DH doesn’t know where the grass catcher is anyhow. We have had neighbors volunteer their clippings, but all of them use chemicals on their lawns…so that is not an option. I might have to just bite the bullet and purchase some straw. Is it called an attempt if you don’t know the outcome yet? 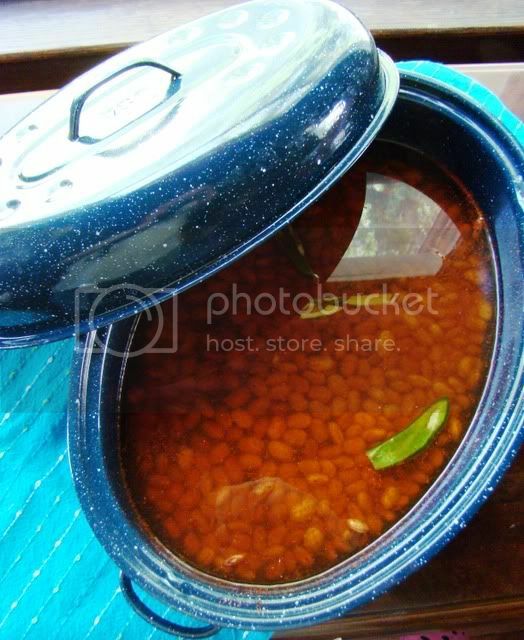 This morning at 10:40 I placed a pot of pinto beans out in my home-designed solar cooker. In only 20 minutes, the temperature on top of the pan was 240 degrees, with the ambient temp being only in the 80s. I soaked the pinto beans in a bit of water on the kitchen counter all night last night. This morning I rinsed them before placing them in my oval roaster. With fresh water, I added salt, chili powder and 1/2 of a japaleno. After placing the lid on, I slid the roaster inside the oven turkey bag (which was used the last time I solar cooked) and promptly took it outside…well after I took some photos anyhow. 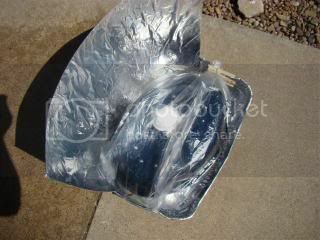 My first attempt at solar cooking was not a total success, but subsequent efforts totally bombed. We constructed our makeshift solar cooker out of a cardboard box, weed barrier (which I would not recommend), glass from a screen door and a thermometer. At one point, I had the inside temperature up to 170 degrees, but when I had to reposition the items inside, I must have rearranged it enough that it did not seal as well. We had preheated the oven to around 120 degrees. 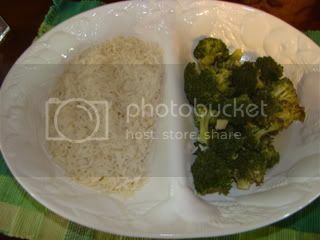 After a couple of hours, I used a potholder to remove the items…a jar with broccoli and a pan of rice. The rice and broccoli were not as done as I would have liked it, but it was all still edible. The next day I was going to try some lentils and rice, but the wind knocked over my window and it shattered. I had seen a video about cooking in black jars using aluminum pans, but I just could not get the temperature up high enough. 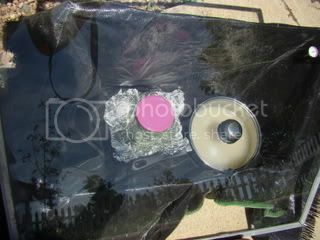 Luckily, DH is in favor of solar cooking, so I was able to order the Sport Solar Oven from the Peddler’s Wagon. I am so excited because the solar oven kit comes with two black cooking pots, a solar reflector, oven thermometer, water pasteurization indicator and recipe book, which I am certain will come in handy. 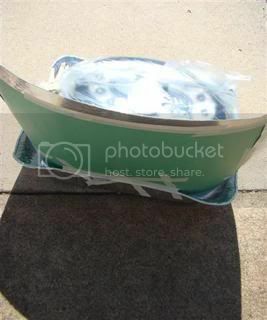 I had looked at the other solar oven they offered, but was happy to see that the pans were included with this particular solar oven. This looked like such a fun meme over at Prairie Dreams. Anita “borrowed” the idea from Daily Dose of Zen Sarcasm. 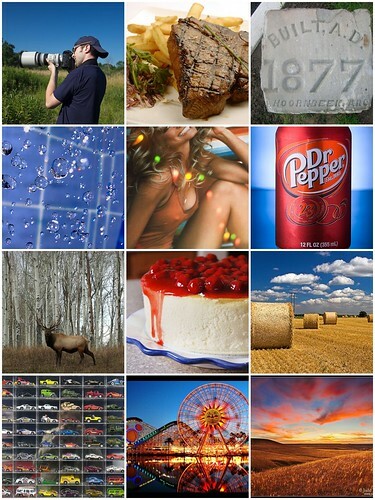 Thanks for the following Flickr members…. I am excited! 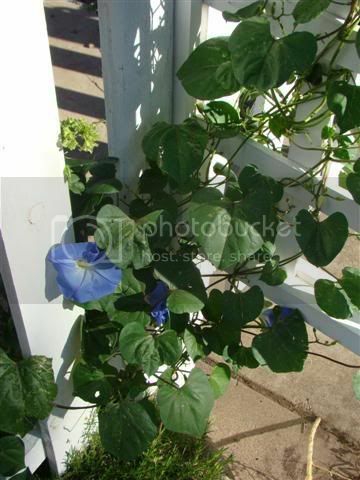 My suggestion and photo submission for a frugal garden decorating hint and photo contest at www.ThriftyFun.com. 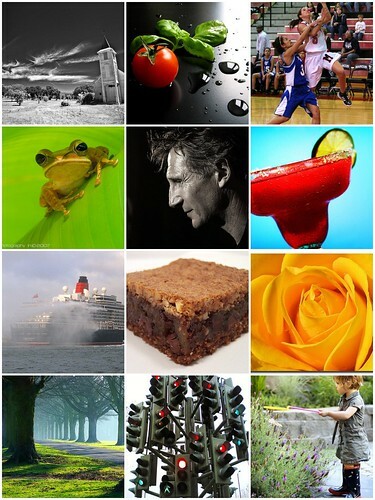 If you would like to visit the site, you can leave comments or rate my entry. We made a few stops on our return home from Oklahoma City yesterday. It was an interesting day. I had my list of places to go and DH was kind enough to accomodate my whims. First stop was at Garden Ridge Pottery where I had hoped to find some inexpensive items to add to my backyard art, but nothing was inexpensive and I left sorely disappointed with only a $1.50 clearance purchase of a small wooden house. Next up was Hobby Lobby, where I found a bargain on two decorative birdhouses. One was damaged, so the manager knocked a bit more off of the price for me. Since these will be outside, cheap is better. The air was so hot and humid, that everything was a huge effort, so we decided to go eat before heading back home. We settled on Zio’s, one of my favorite restaurants. The last time we were there, our waiter had us in stitches and the food was exceptional, however this visit was not anywhere near as enjoyable. I tried something new on the menu and the lemon was not mixed evenly throughout the sauce, which caused my jaws to “lock”. You know that feeling….if not…imagine biting into the most sour lemon could imagine and how the sides of your face contract uncontrollably. Yep…that will take you where I was yesterday….lol. The waiter offered another entre, which resulted in a huge plate of lasagna, but unfortunately my taste buds were too badly assaulted by the other that it seemed bland. After spending $27, I was ashamed of my decision of splurging. I had hoped to visit Home Depot on our trek down the road, but again the heat was overwhelming for sissy ol’ me and I didn’t want to get out of the car. It suited DH well, as he isn’t into spending money at the moment, so we just drove by the sheds and cabin that we always drool over with every visit to OKC. I keep telling myself…someday…yes…someday I will have this at the farm as a weekend and holiday retreat. Still longing as we pulled out of the parking lot, I asked DH to visit McClanes to look at RVs. I have a dream of one day traveling the country, working as I go, to see all 50 states. I don’t know if going to the RV dealership was such a good idea. We saw some beautiful new and used trailers and RVs, but the sticker shock made me realize that I may never fullfill this dream. I suppose it was a realistic awakening. Down the freeway we traveled, making our usual turn at Geary, OK to head towards Woodward. 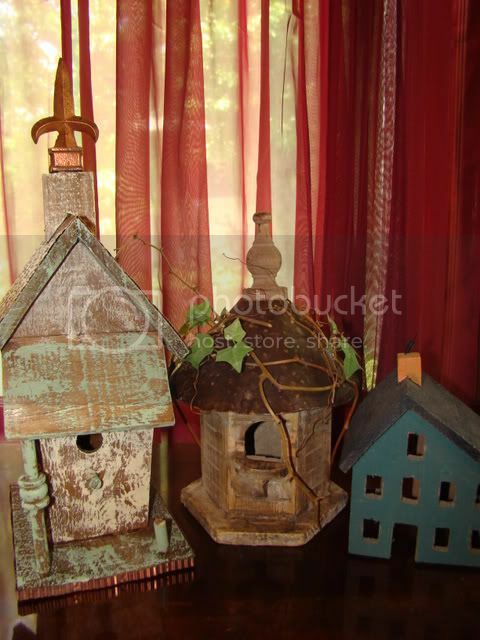 The birdhouses that I found…. I am happy to report that I am finally able to have my first real harvest of all that I have planted thus far. 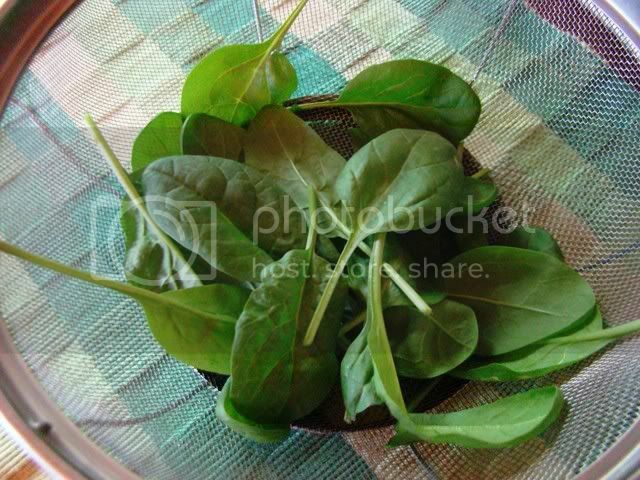 This spinach is from the container that I started in my basement back in the winter. It sets on the side porch just beside the door, protected from the recent storms we have been having. It is almost midnight and I am exhausted. We spent a good portion of our night either in the closet in the basement or glued to the television watching for the next tornado warning to sound. We sat calmly in the basement until the lights went out and then the sirens sounded. 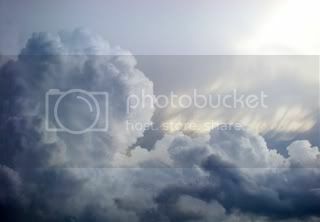 Tornados headed to Greensburg, but according to the news they came and went without damage. I can hardly wait to visit with Anita to see how she is. Listening to the police scanners, it seems that there was damage in Protection. The highway that heads south out of town is closed at the moment. Four cattle trucks were overturned and electric lines are down. Sure hope it is all cleared out by 6 AM, when we have to go through on our way to OKC. I don’t know if it is X Marks the Spot…or a W today. While out hanging laundry this morning, I just found this fascinating. Unfortunately, the wind was gusted pretty hard, so I had difficulty holding the camera steady, thus for the soft focus on some of the slides.